Kailan Manandic/staff photo Officials break ground outside Salt House Church for the Eastside’s first permanent women and family shelter. Workers hope to complete construction in 2020. 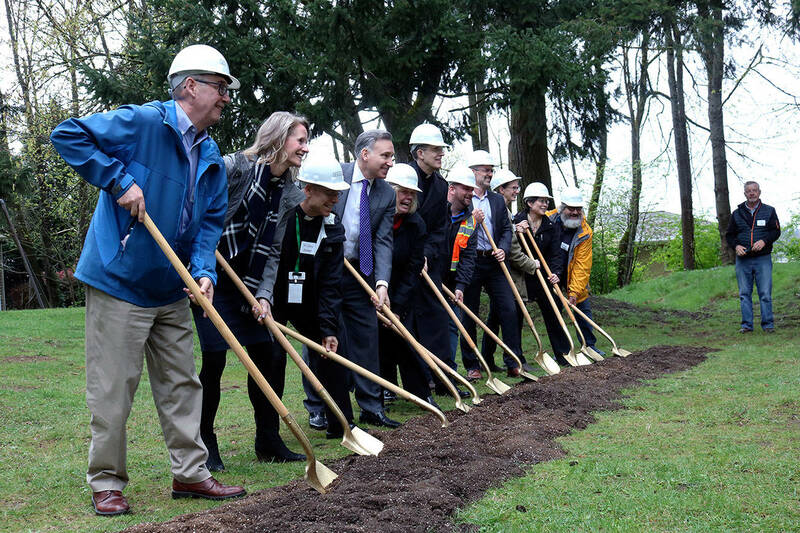 Shovels struck the earth in celebration of an Eastside-wide partnership that brought residents, nonprofits, cities and King County together in an effort to assist families and women in need. The Eastside’s first and only permanent shelter for women and families broke ground in Kirkland on the evening of April 10 and will eventually serve locals experiencing homelessness. 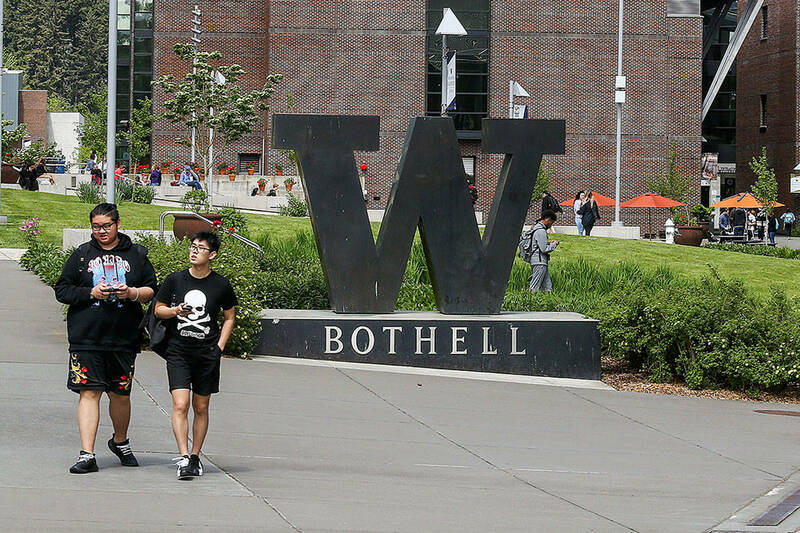 The two-story, 19,000 square feet facility will provide 100 beds, housing and supportive case management, shower and laundry facilities, medical services and a general safe space 24 hours a day, seven days a week throughout the year. The shelter was first conceived in 2016 when the city of Kirkland began discussing a permanent facility to serve adult women and children experiencing homelessness. The partnership includes the New Bethlehem Project, which includes Holy Family Catholic Church in Kirkland, St. Louise Catholic Church in Bellevue, Catholic Community Services (CCS) and Salt House Lutheran Church. The project has seen wide-spread support, securing more than $9 million in funding from various communities, nonprofits and government entities. The city of Kirkland will contribute $1.15 million; King County will contribute a total of $5.2 million, $2.5 million of which will come through its veterans, seniors and human services levy and through a community development block grant; the state will contribute $2.35 million; A Regional Coalition for Housing (ARCH) will contribute $504,406; and private donations from the Eastside community, particularly Holy Family Church, St. Louise Church and donors from The Sophia Way will contribute $2.1 million and continue to fund shelter operations. Salt House Church has offered up space to host the facility and in a groundbreaking celebration, various church officials, community members and local government leaders and workers gathered at the church. Everyone involved had an opportunity to help dig up the first patch of dirt as onlookers cheered. The land was secured in a 2017 Memorandum of Understanding between Holy Spirit Lutheran Church, Salt House Church and the city of Kirkland. The city purchased the property and leased it out to CCS. Salt House will also help support the neighboring shelter and the women and children it will serve. Workers hope to finish construction in 2020. The Sophia Way and CCS’s New Bethlehem Project will occupy the new facility, offering their various services to any woman or family who need the help. The Sophia Way will serve single adult women on the facility’s second floor while the New Bethlehem Project will serve families with children on the first floor.